When using Mainconsole (v5.0 and above), CPU loading might reach to 100% due to local display decoding request. Use Multi-stream function in Mainconsole (v5.0 and above) to reduce the decoding request. 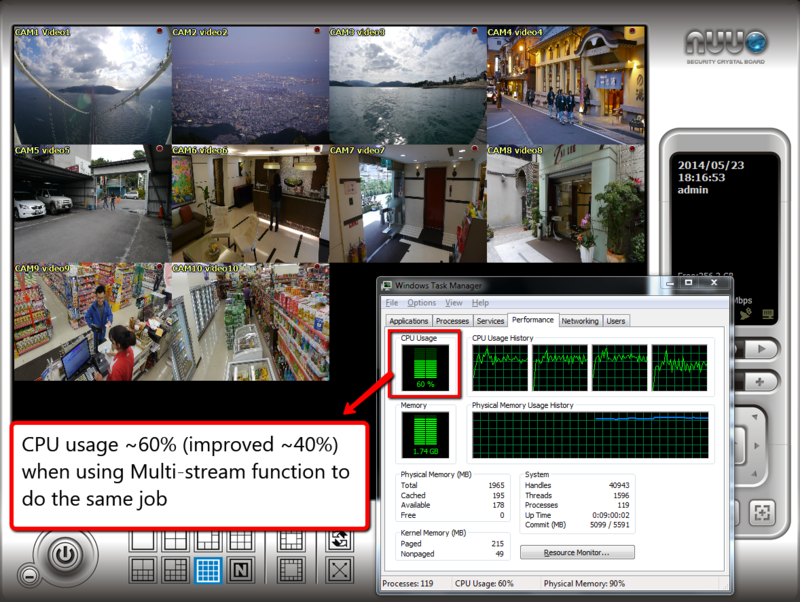 Mainconsole can record the "highest fps and resolution" stream (stream1) from cameras and, at the same, display the "fewer fps and resolution" stream (stream2) on local display. 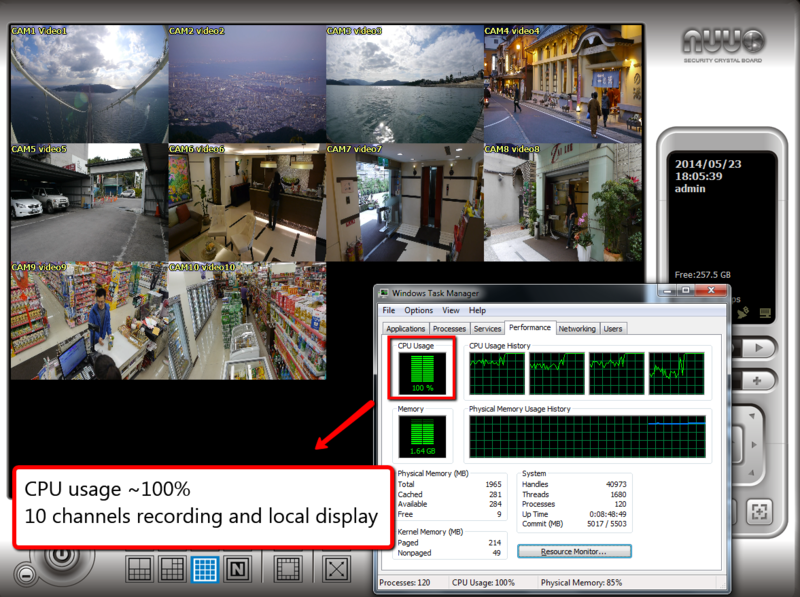 Before choosing [Enable Multi-stream] function in Mainconsole: CPU usage might hit 100% for recording and locally displaying 10 channels. When user clicks on [Open Stream Usage Panel] under [Start Menu], all channels are decoding from "stream1", which is usually the original stream with the highest resolution and bitrate. After choosing [Enable Multi-stream] function in Mainconsole, CPU usage will take <60% less resource to do the same job (recording and locally displaying 10 channels). In the [Stream Usage Panel] under [Start Menu], user can see all channels are decoding from "stream2", which is usually the lower resolution and smaller bit rate. Please refer to this wiki "How to enable Multi-Stream function?" to know the detailed setting on Mainconsole (v5.0 and above). 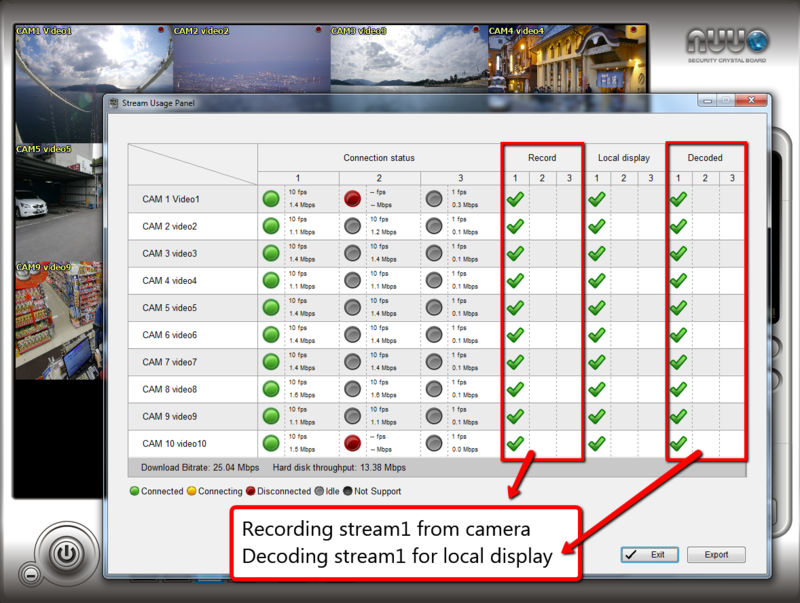 How to use Multi-stream function in Mainconsole to avoid transcoding request in Remote Live Viewer?